There are two main types of photography of which I consider to be my specialties. One I have been doing since 1969 and that is shooting Black and White Infrared film. The second, and this changed my photography entirely was when I started taking photos with the Fuji 617 panorama format camera. 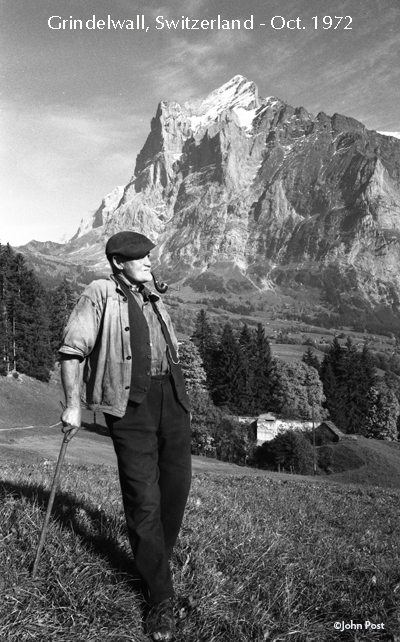 From 1989 until recently I have been shooting exclusively with the large 617 panoramic format portraying man and his environments around the world. My subjects include everything from solar eclipses in Zimbabwe to aerial (helicopter) photos of custom gatherings of people. 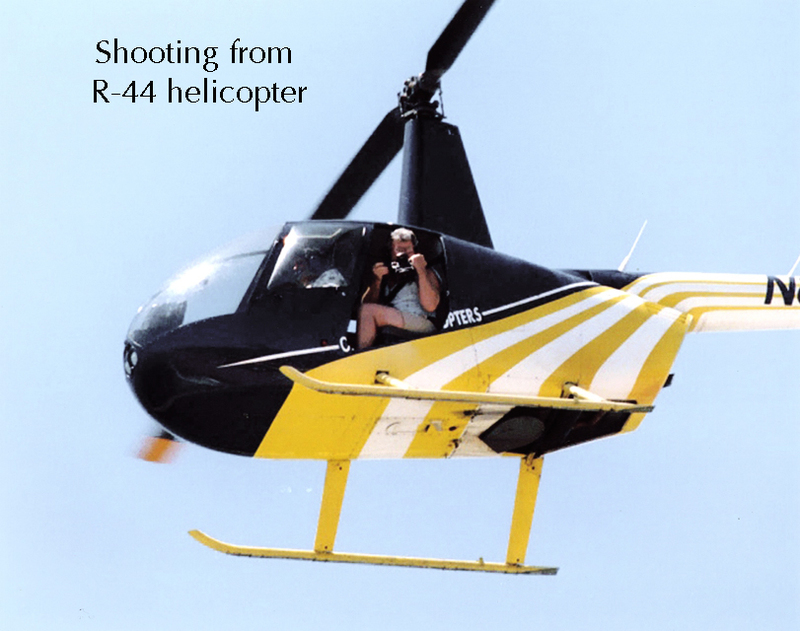 I have been represented by Panoramic Images stock photo agency in Chicago since 1995 along with several other agencies and the National Geographic Image Collections. My desire with my photography has always been to do it in such a way that the viewer of the photo is taken into the scene or encounters the subject as if it were his or her own personal experience. What made you decide to be a Photographer? I decided to become a photographer for two reasons. The first was always a strong desire to portray the world as I experienced it through some form of art. 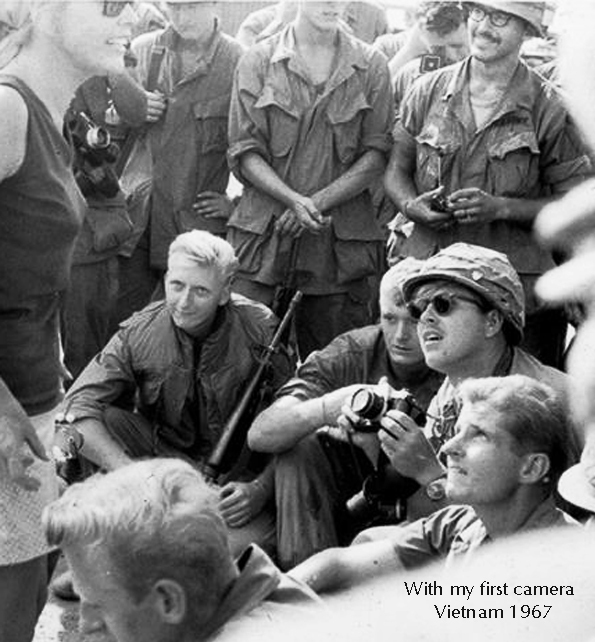 Fascinated with photographs in my youth I purchased my first ‘official’ camera (a 35mm SLR, Pentax Spotmatic) while I was in the US Army in Vietnam ’67-‘68. After returning home I attended El Camino College where I took art and photo classes and was introduced to the techniques of photography. Using the camera as my ‘paintbrush’ the basic intent was to refine my view for others to see that captured-on-film experience, enjoy it and hopefully take away something from the visual encounter that lasts in their memory. In 1972 I received my AA Degree in Liberal Arts. The second reason and decisive moment of career choice came in the middle of my first long journey around the world. In fall of 1972 I again left the South Bay. I was off to visit relatives in Australia and I thought just to make it a bit interesting decided to go by way of the Far East, as it turned out I ended up traveling the world for three life-changing years1972-1975. 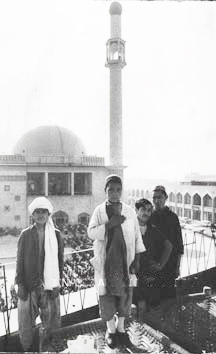 My journey took me overland thru Europe and the Middle East until I lost my passport in Afghanistan and drew the trip to an abrupt halt, at that point fate started to step directly into my life. After a month I finally was allowed only to move on to India. I was then stuck in India for 5 months not knowing when a new passport would arrive and I could depart India and finally head on to Australia. At this time I had almost no money, could not afford film and was living on less than .50 cents a day. There are too many fascinating details about those times to be discussed here but as it turned out I finally made it to Australia. I had no money but fate was now leading my way, I was just along for the ride. I was now working for a mining company in North West, Australia when my career choice came to me on Christmas 1973. At the time I had no camera because I had to sell it several months earlier in India to procure enough money to purchase a boat ticket to Perth, Australia via Singapore. I was celebrating in a bar in Port Hedland with a group of Aborigines, Yugoslavs, Croatians, Irish, English and a variety of other sordid mine workers from around the world when I saw my future. Everyone there had stories of their experiences in life and on the road but none had photographs, no one had any ‘hard copies’ of images to backup those so wonderfully told stories. Much later that night while watching the stars in the black NW Australian sky and reflecting on my own past and recent experiences (i.e. growing up in Ohio, Australia and Southern California, serving in the U.S.Army in Vietnam, Traveling throughout the United States, losing my passport in Afghanistan, bicycling down the west coast of India my first encounter with the subcontinent while waiting for a new passport and now working in the hinterland of Australia) it was settled. That night I vowed to commit myself to the lifetime goal of becoming a photographer using photography as a vehicle and tool to document and share my visual experiences in the world. At the same time I gave myself the lifetime hobby of traveling in and photographing the amazing culture and country of India. I then saved all my money and soaked up as much photo information I could find in my remote location. I left the mining company several months later to begin my new quest, now with money and loaded with film and fully equipped spent the next year reengaging, but now photographing, India. This ongoing affair with India evolved into my receiving Bachelors Degree in Anthropology from Dominguez Hills University in 1981 based on my later fieldwork and studies of the fishermen of Goa, India. The adventure continues to this day and my 10th journey to India is on the horizon. We all need something to do! In 1975 upon returning to the U.S.A. 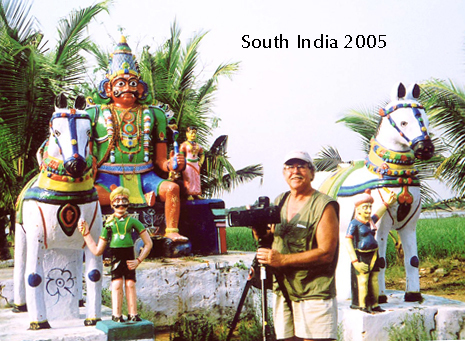 I started shooting sports and doing art shows (selling my exotic images of the Far East and India) to make a living. Not having had any formal photography training other than basic classes at junior college, I was forced to seek more unusual avenues in the photographic field in order to survive in the business. In 1982 I stopped shooting sports and devoted all my attention to making a living full-time selling my work as art, to whoever the buyer might be. 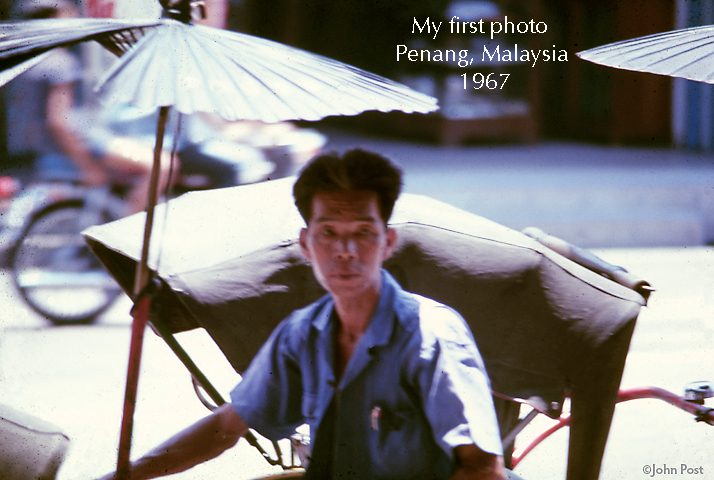 At this time most of the images that I was selling were from my exotic travels. I went into retail photography, the cash and carry business! After a few years I noticed that the unique area that I live in with its beautiful beaches was being completely overlooked as a subject of artists and by 1980 I started to turn my camera toward and concentrate more on shooting my home environment, the beaches of Los Angeles. 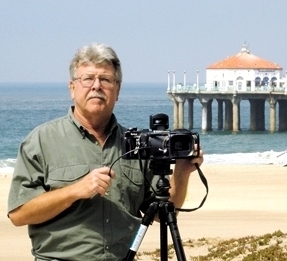 I have had my gallery in Manhattan Beach, CA for twenty years and although I still travel the world for photography the South Bay beaches have been my recognized specialty ever since. Even while shooting the much of the same local subject matter repeatedly my images have evolved over the years and I still have the ability to capture the same scenes in new ways. Wanting a more inclusive type of image in my photography I decided to stop shooting 35mm film in 1990 and devoted all my image making to the large panoramic 6x17cm format for which I have gained much recognition by showing my audience a totally new way to see their environment. My image making evolved again in 1998. I purchased the new little Hasselblad XPAN camera it was the first camera to shoot a full single shot panoramic image on 35mm film. I then embarked on a new project using my Black and White Infrared film and the XPAN to shoot infrared panorama photos. In 1999 I started hand coloring the black and white infrared panorama prints using Marshalls Photo Coloring Pencils. This more artistic quality of print has been a way to provide my customers with a totally new and unique one-of-a-kind product and to introduce them to my infrared imagery with its more unusual and exotic subject matter. Now with digital imaging taking over a whole new way of doing things is opening up. 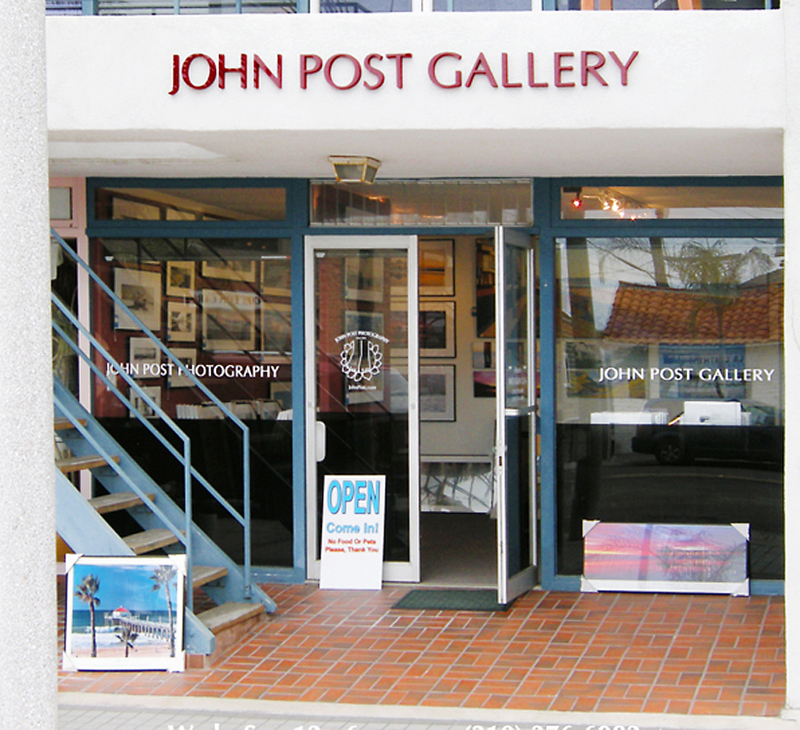 I entered the digital imaging world in 2006 and unlike my big laborious but supreme panorama cameras where setting up takes no less than 10-15 minutes using my digital cameras allows me a freedom to open up and explore and shoot in ways unavailable with the restrictions of my traditional film cameras. After developing a desire to make even more encompassing images in 2008 I encountered a new photo platform called GigaPan. It is based on the Mars Rover photo capture technique of shooting large quantities of images and stitching them into one huge image. I have been using this to make a new kind of image with extreme detail. What is the best part and the hardest part of being a photographer? 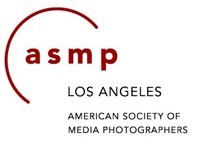 I have been very fortunate to have had some photographic success and been able to have had a long career selling shooting and receiving recognition in the art of photography. The best part is to be able to live one’s life in a way that touches others on more than just a physical plane and for the work to be appreciated. The hardest part is staying fresh and contemporary. The difficulty of being creative in a familiar environment or portraying a well-known landscape or subject in away that it hasn’t been seen before and even more importantly doing it in such a way that it sells is always an ongoing visual challenge. I find the most challenging situations to be the photo shoots where time is severely limited, where the window of opportunity to get the shot is down around two minutes or less. 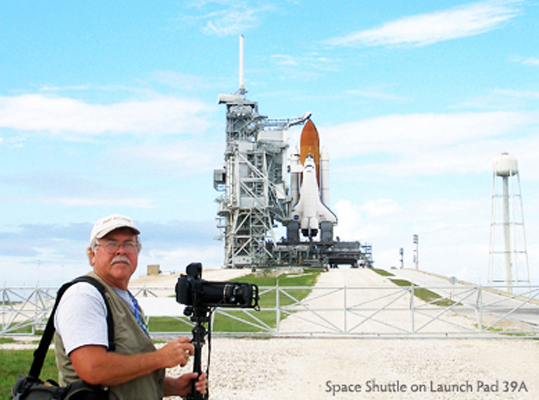 Examples are sports action, solar eclipses, space shuttle launches, animals and particular weather conditions. At these times, one has to be very focused and tuned into the surroundings and the subject’s activity. Pre-visualization of the subject and how you want to compose and portray the image is an essential and major part of the challenge. I handle these situations first by making sure that I am where I need to be ahead of time and that the film is in the camera and the settings are right. A question I often times have to ask myself depending on the situation and if I will be in a crowd, do I need to use my 8ft ladder. After setting up it is then just a matter of waiting till all the elements come together for that brief instant and making sure to press the button at the right time. With my big Fuji cameras getting only four shots on a roll of 120 film, rarely do I get to shoot more than those 4 shots during those brief moments. You better know where to stand. Where do you see the future taking you and your photography? It appears that there is no turning back. As traditional film, cameras and printing processes become more and more obsolete (none of my film cameras are any longer produced) one has to change with the times or just fade away. 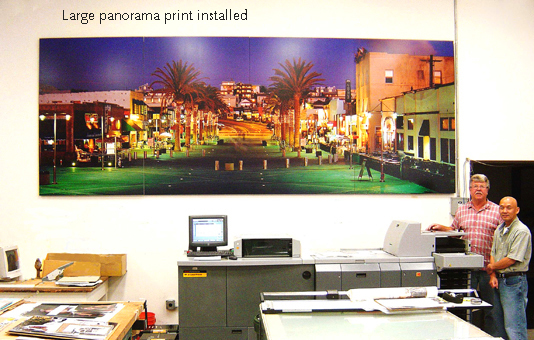 Digital imaging instantly fits into today’s new workflow model unlike film that now must always be scanned before it can really be used or printed, an extra step in both time and money. Since 2006 I have been using small digital cameras to take many new photographs, after all no matter the tool it is still only the image that counts. The digital world is providing a whole new way of utilizing both my new digital and rejuvenating my old film images it is also opening up new ways to make them more accessible to more customers. I will continue though on the same path of focusing on man and his environments, from the beaches of Los Angeles to the exoticness of India. 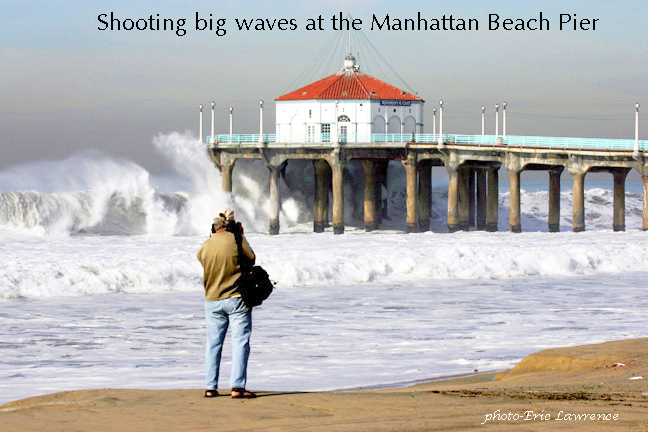 In 2012 along with the Manhattan Beach Historical Society I produced a Centennial Photo Book of Manhattan Beach. California 1912-2012. It was the first full color photo history book of the city. 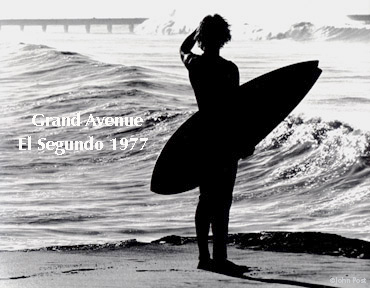 The book was made up of my Manhattan Beach photos from 1969 thru 2012. We sold over 1000 books. I am currently working on a new book of the towns in ‘Our South Bay’, it will be published in summer or 2014. I am also doing more experimenting with the tools in photoshop and developing a new series of images that have a photorealism look to them. Since 2008 I have been shooting my little digital cameras using the revolutionary GigaPan platform to create giant gigapixel size images of my usual variety of subjects. I have now made over 100 of these huge detail packed images some of which are here on my website. Apart from home life and family, the most important thing in my life is travel and encounters with unusual environments, unique subjects and people from other cultures. To be out adventuring in the world, sharing thoughts and views with diverse cultures and photographing is as good as it gets.